"You did a GREAT job!”". 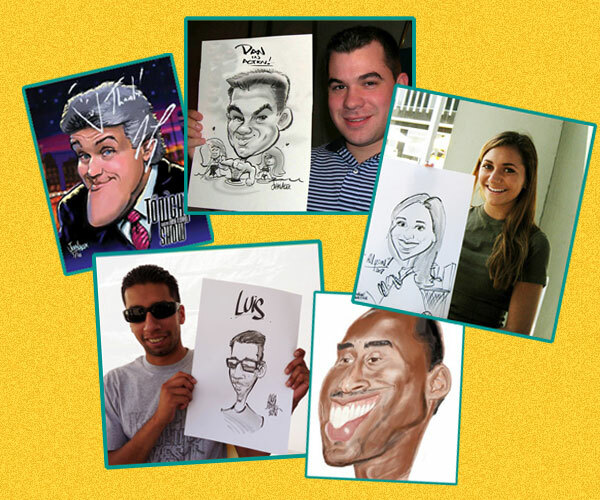 Your Guests will LOVE their very own CUSTOM CARTOON PORTRAIT! It only takes minutes to create a keepsake that will last a lifetime! Our artists hand draw humorous sketches of your guests. These funny drawings feature exaggerated comic faces and fun poses! The ultimate in personalized gifts! and any event where your guests want to have fun! Let us know if you prefer black and white for faster creations, or full color for more detailed works of art!